March London wheat closed GBP2.00 higher at GBP95/tonne, with March Paris wheat ending EUR0.25 easier at EUR122.25/tonne. The pound hit a nine month low against the dollar which helped UK wheat push higher, although a lack of export interest despite a weak currency remains a concern. A strong US market also helped UK wheat push higher. The Ensus bioethanol refinery on Teesside is finally limping along, according to reports, although it is currently far from operating at full capacity I hear. 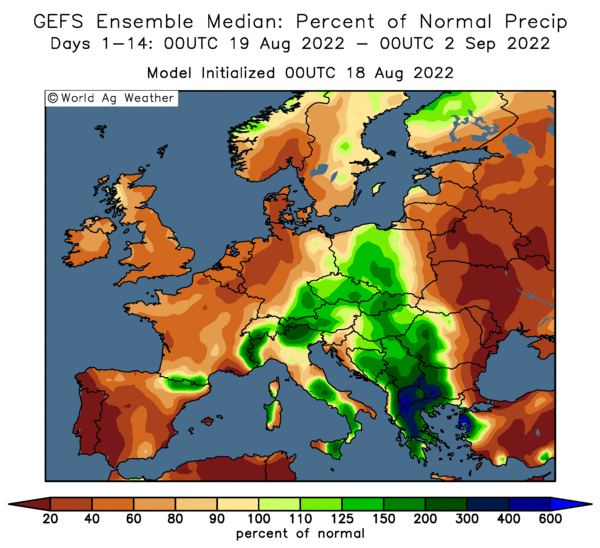 With EU wheat production seen higher in 2010 as winter wheat emerges from dormancy it is difficult to envisage prices moving significantly higher from here. March soybean futures closed at USD9.51, up 9 ½ cents, November soybean futures ended at USD9.41, up 11 ½ cents, March soymeal futures were at USD273.20, up USD1.10/tonne and March soy oil futures at 39.29, up 76 points. A weaker dollar and firmer crude oil helped things, although the size of South American production still weighs. There is no doubt that Argentina soybeans will make a record crop this season, but questions over diseases may limit upward movement, says Gail Martell, of Martell Crop Projections. February weather turned wet in the key soybean provinces addressing crop needs during the pod filling stage. However, very warm and sticky weather this month also promoted the spread of disease. The Buenos Aires Cereals Exchange kept the soybean estimate at 52 MMT. That still represents a record, despite talk of worsening disease, adds Gail. March corn futures closed at USD3.78, up 5 ¾ cents, and May corn futures ended at USD3.89, up 5 ¾ cents. A weak dollar and firmer crude oil was helpful, although improved production prospects from South America are bearish. The Buenos Aires Cereals Exchange boosted its estimate of Argentina corn production to 20.2 MMT and higher than the previous 19.2 MMT peg, says Gail Martell. This would allow Argentina to resume its role as a major corn exporter, second only to the United States in global trade, she adds. March CBOT wheat futures closed at USD5.06 ½, up 16 ¾ cents, March KCBT wheat futures were at USD5.11, up 14 ¼ cents, and March MGEX wheat futures at USD5.16 ¾, up 13 ¾ cents. The steep rise can perhaps best be attributed to a short covering rally, with heavily short commodity funds buying an estimated 3,000 contracts. The El Nino effect produces a strong wet signal in the Southern Plains in winter. Moisture in the past 5-6 weeks has been especially good in Texas and western Oklahoma. The Kansas wheat crop also has benefited from increasing moisture in February that will improve spring growth and development. The message is that hard red wheat production may be much better than predicted from a smaller crop area, down 12% from last year, say Martell Crop Projections. March soybean futures closed at USD9.41 ½, down 14 cents, November soybean futures were at USD9.29 ½, down 5 ¼ cents, March soymeal futures at USD272.10, down USD4.80, and March soy oil futures at 38.53, down 52 points. Export sales were also below trade estimates at 239,091 MT for 2009/10 delivery and 39% below the previous four week average. There were also some small sales for 2010/11 marketing year amounting to 2,900 MT. China were back, but only for a relatively small quantity, booking 177,700 MT of that. Export shipments were the same as last week at 1,121,950 MT, china taking 666,300 MT. March corn futures closed at USD3.72 ¼, down 3 cents, and May corn futures at USD3.83 ¼, down 3 cents. The weekly export sales report showed net combined sales for the 2009/10 and 2010/11 marketing year at 451,273 MT. Export shipments were a marketing year high at 1,240,600 MT with Japan, South Korea and Mexico the main destinations. The Buenos Aires Grain Exchange upped their forecast of this season's corn crop in Argentina to 20.2 MMT from 19.3 MMT last week. March CBOT wheat futures closed at USD4.89 ¾, down 10 ½ cents, March KCBT wheat futures ended at 4.96 ¾, down 8 ½ cents, and March MGEX wheat futures at USD5.03, down 9 ¾ cents. Export sales were below analyst's estimates at 375,654 MT for 2009/10 and 33,250 MT for 2010/11 delivery. Export shipments were 459,716 MT, with the primary destinations Nigeria (112,500 MT), the Philippines (76,600 MT), Japan (67,000 MT), Mexico (53,600 MT), Iraq (51,200 MT), and Guatemala (27,500 MT). EU wheat futures closed mostly lower Thursday with May London feed wheat ending down GBP0.40 at GBP94.50/tonne, and May Paris milling wheat finishing EUR1 lower at EUR125.25/tonne. The IGC upped their 2009/10 world wheat production estimate by 1 MMT to 675 MMT, just to add to the bearish pressure on wheat. High global stocks and slack demand continue to weigh on prices. In the UK, the start up of the Ensus bioethanol plant on Teesside continues to be a frustratingly stop start affair. Reluctance to sell at current levels remains just about the only weapon left in the farmer's arsenal, but with offtake of old crop stocks continuing to be sluggish, consumers are in no hurry to buy. If we are going to see a significant rally in values then we need some sort of fundamental change in the dynamics of the wheat market. This sadly doesn't look too likely in 2010. March soybeans closed 9c lower at USD9.52 1/2, March soymeal USD2.10 lower at USD279.60 and March soyoil down 52 points at 38.51 cents/pound. It was another "turnaround Tuesday" with markets giving up a significant slice of Monday's gains. A firm dollar and weaker crude oil set the tone for a correction, although reports of some rain damage in South America recently put a floor on losses. Export inspections were good on Monday, China's absence from last weeks export sales report may have been more to do with the Lunar New Year holiday than a wholesale switch to Brazil, some analysts are saying. March corn closed 3 3/4 cents lower at USD3.67 3/4, eroding some of Monday nights gains. The USDA are expected to issue revised production numbers for US corn on Wednesday, allowing for unharvested acres that failed to get cut last autumn. Most analysts expect that they will reduce their 2009 crop estimate, although they have surprised us before! Crude oil fell back below USD80/barrel which added a bit of bearish pressure to corn. The wet summer and autumn in the US Midwest has been followed by a wet winter too, this is already causing some talk that this season's spring planting progress will be slow. CBOT March wheat fell back below USD5, ending 9 1/2 cents lower at USD4.91 3/4, again reversing almost all of Mondays gains. The pace of US exports still lags the USDA's target for the full marketing year, and US wheat missing out on last weeks Egypt tender to the tune of USD40/tonne indicates just how of of sync US wheat has become with prices from the Black Sea and Europe. Although the US continues to pick up sales to 'the usual suspects' such as Japan, it has been some time since a surprise was revealed in the USDA's weekly export sales report. And Japan yesterday indicated that they will probably be out of the market until April. EU wheat futures closed mixed, mostly a little steadier, with March London wheat up GBP0.30 at GBP93.50/tonne, and Paris March milling wheat up EUR0.25 at EUR122.75/tonne. A strong dollar and spillover support from a steady Chicago market on Monday night helped support wheat futures today, as did a continued lack of farmer selling. However, as the day wore on the dollar began to decline and wheat in the US opened lower, taking most of the shine off early gains. Consumer demand is slack, and export interest is pretty stagnant too, save from last weeks one 60,000 MT cargo sale of French wheat to Egypt at USD170/tonne. Russia remain the dominant force in the export markets, and that is unlikely to change any time soon as they look to offload some of their intervention stocks at subsided levels. There's not much interest in barley either. Over 1 MMT of the grain has already been put up for intervention in Germany, and more than 750,000 MT in France, according to Agrimoney.com. German barley offers into the support program are likely to swell to 1.5 MMT before intervention ends in the summer, they say. 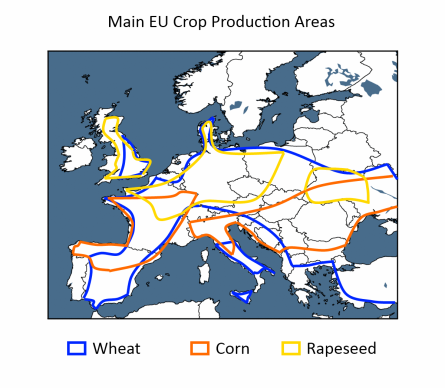 Meanwhile an EU wheat crop some 5 MMT higher than last years production is emerging from winter dormancy. Things might get worse before they get better. The overnight grains closed mixed to mostly lower. Wheat finished 4-5 cents easier, with corn down 1-2 cents and beans fractions either way. The stage looks set for another "turnaround Tuesday" after the complex posted some decent gains yesterday. Crude oil is back below USD80/barrel, currently USD1.56 lower at USD78.75/barrel, which will add a bit of spillover weakness to the grains sector. Reports from South America indicate that yields from early and middle maturity beans in Brazil have been a little disappointing, although later maturing varieties should fare better, it might be that talk of a 68 MMT crop is a bit ambitious. Recent heavy rains in Argentina may also have taken the top off yields somewhat. "At least one analyst VP Ricardo Baccarin of Panagricola SA is speaking of a smaller crop, due to potential disease issues. He predicts the soybean harvest may top out at 51 MMT," says Gail Martell of Martell Crop Projections. It's early days yet, but the US weather also seems to be possibly shaping up for a repeat performance of last year, are we in for another cold and wet spring? Flooding looks like it might be a problem in many areas once again. "North-Central Iowa has received 12.4 inches of moisture between October 1 and mid February. That compares to 6.3 inches normally and threatens to break a 1970-71 record. Western and Central Illinois have received 165-180% of normal precipitation since October 1," adds Gail. CBOT Early Calls: Corn Down 1-2c, Wheat Down 3-5c, Soy Flat-Down 2c. Are We Overdue A Run On The Pound? BoE governor Mervyn King, appearing before the Treasury Select Committee, warned today that QE measures may not be over, and that credit ratings agencies were expecting a "detailed explanation" as to how the government intended to reduce it's budget deficit. Having borrowed around GBP30 billion a year between 1997 and 2007, last year the government borrowed five times that amount, and this year that figure looks set to come in closer to GBP200 billion. It might be only a matter of time before Britain's ability to pay gets called into question more seriously than it has been to date. “We would like to get back to a situation where the banking sector can expand its lending, but I am not sure that is going to happen until we have seen further consolidation in the balance sheets of the banking sector," warned King. As if by magic, data from the British Bankers' Association today revealed that mortgage lending fell to a nine year low in January. How low is low? They say that a fraction over GBP8 billion was lent during the month, that is less than half what was being lent out in the halcyon pre-crisis days of 2007. With an election looming, as well huge question marks over the size of the national debt, the pound might be sitting pretty to be the next currency to take a pasting on the international forex markets before long methinks. As of February 18 the Ukraine Ag Ministry report generally only small changes in crop conditions compared with late January. Winter grains were rated 90% in good or satisfactory condition (from 89.6% as of January 28), with 10.0% (from 10.4%) in poor condition. Winter wheat was rated 46.5% good (from 46.8%), 43.6% (43.1%) satisfactory and 9.9% (10.1%) poor. Winter barley was pegged at 40.6% (40.7%) good, 47% (unch) satisfactory and 12.4% (12.3%) poor. Winter rapeseed was rated 38% (39%) good, 41.7% (40%) satisfactory and 20.3% (21%) poor. The winter grains area was 8.6 million hectares said the Ministry, up 3.7% from the previous year. The area given over to winter wheat is 6.7 million ha, up 2.6%, with barley sowings at 1.6 million ha (up 25.4%) and rapeseed planted on 1.4 million ha, down 1.4%. March soybean futures closed at USD9.61 1/2, up 16 1/2 3 cents, November soybean futures were at USD9.35 3/4, up 9 3/4 cents, March soymeal futures at USD281.70, up USD5.30, and March soy oil futures at 38.83, up 31 points. Weekly export inspections were solid at 34.99 million bushels as China returns from holiday, with the cumulative total for the year at 1.059 billion bushels. There were some concerns over crop losses in Argentina after very heavy weekend rains, which prompted some short covering. 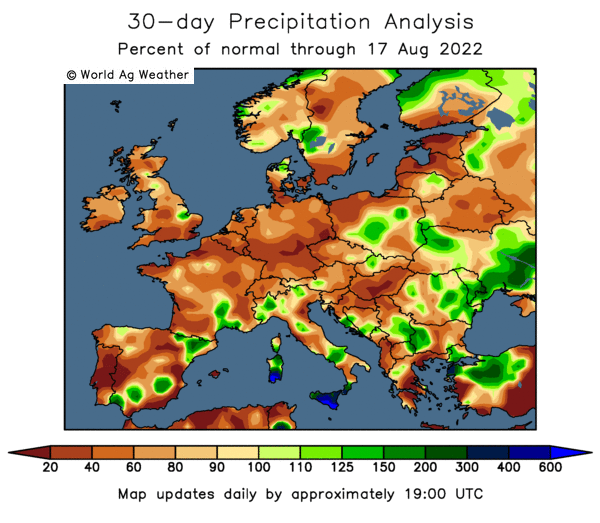 South Brazil and Argentina got more than 2 inches of rain last week in recurring thunderstorms, said Martell Crop projections. It was the second week in a row of heavy rainfall. Heat continues to plague soybeans in Paraguay and Rio Grande do Sul, however temperatures have moderated in Parana, they added. March corn futures closed at USD3.71 ½, up 11 1/2 cents, and May corn futures at USD3.82 ¾, up 11 cents. Firmer crude oil and a weaker dollar helped corn as did very wet conditions in some Midwest areas already sparking planting delay fears. The leading US corn states Iowa and Illinois are extremely wet and may flood this spring, delaying corn planting, say Martell Crop Projections. Soil profiles may be full of water, delaying fieldwork and planting due to near-record precipitation in the past several months. North-Central Iowa has received 12.4 inches of moisture between October 1 and mid February. That compares to 6.3 inches normally and threatens to break a 1970-71 record, they added. Wetness in South America also got some attention. Weekly export inspections at 34.189 million bushels were about as expected. Short-covering was also a feature. March CBOT wheat futures closed above USD5.00 at USD5.01 1/4, up 11 1/2 cents, March KCBT wheat futures at USD5.08 ½, up 10 1/4 cents, and March MGEX wheat futures at USD5.16 ½, up 8 cents. Short covering was also a feature for wheat, where fund money is particularly oversold, with the Commitment of Traders report showing the large non-commercials net short 65,303 contracts as of February 16. Weekly export inspections were 17.708 million bushels, on the upper end of estimates. West Texas wheat growing areas have received 3.5 inches of precipitation since mid January, 2.5 times the normal amount, completely replenishing field moisture for spring growth, say Martell Crop Projections. The closest analog for this wet winter in Texas is 1982-83, also an El Nino year. Very cool spring growing conditions followed on the heels of a wet winter further improving the yield potential. The High Plains wheat crop finished with an outstanding yield, more than 25% above average. If a similar outcome occurs in 2010, it would offset small acreage, as Texas growers planted 16% less wheat this year, they added. EU wheat futures began the week modestly higher Monday, with March London wheat closing GBP0.75/tonne higher at GBP93.20/tonne, and Paris March milling wheat ending up EUR0.25 at EUR122.50/tonne. Farmer reluctance to sell is certainly a contributing factor at the moment now that EU futures have fallen below EUR125/tonne and UK ex farm levels are well ensconced in the GBP80's. Although the fundamentals haven't really changed, we are still looking at large stocks and fierce competition from the FSU/Black Sea area, EU growers seem largely prepared to sit tight and hope for better times ahead. There are plenty of question marks over currency fluctuations, with the euro enjoying a temporary (?) boost from a slight easing of Greek bailout fears. The pound looks far from comfortable either, with massive UK government borrowing and a election looming. Defra appear to have clearly underestimated the level of UK wheat imports this season, whilst they have also probably overstated the size of our exports. That might add a further half a million tonnes to the UK carryout this season. Just to prove that you never lose it, I'm delighted to report that Nogger correctly picked the female winner of Britain's sexiest farmer, Anna from North Yorks when I "marked your cards" a short time back. She'll do for me. I know what your thinking, it's a pity you weren't that clever when you started picking wives isn't it? Well, I only bet a house, it's entire contents, a car and two kids on Mrs N#1, so it's not like I was playing for big money or anything. Anna came from behind to beat off stiff competition to win the coveted Farmer's Weekly award, and promptly decided to remove her waxed jacket for The Sun here to prove that "not all farmers are men in wellies in their 60s." I think she has put our minds at rest on that score once and for all, although it looks like she DID decide to keep her wellies on though. Easy Tiger. The overnight grains started the week on a firmer tone, with beans ending around 7 cents higher, with corn up 4-5 cents and wheat 3-4 cents firmer. The dollar is a little easier, and crude oil flirting with USD80/barrel, as Iran pursues it's nuclear program despite western opposition. A bit more growth optimism is also back in the market today. Greece say that they don't want a bailout, just to be able to borrow at the same rates as everybody else. That seems to have arrested the euro's slide, at least for now. Some reports suggest that very heavy rains in Argentina may have caused some crop losses over the weekend. India are adamant that they will have a record wheat crop, despite some reports to the contrary. I guess IF they start exporting then we will know that they are serious. They will need to subsidise any exports heavily though, based on the Rs1,100/100kg they paid Indian farmers for wheat last year, that's USD238/tonne. Egypt bought French and Russian wheat for just USD170/tonne last week. Russia are set to subsidise up to 3 MMT of intervention wheat to find some more export homes, according to media reports. Although EU-27 wheat production will increase this year, it is likely to be lower in just about all the other major exporting countries, giving a global wheat crop of around 25 MMT less in 2010/11. That will make a bit of a hole in world ending stocks, but even so inventories will remain well above average for the last ten years. Corn stocks to usage looks set to remain fairly tight as more and more of the US crop goes into ethanol production. There are some reports of drought damage in SW China being the "worst for 60 years". 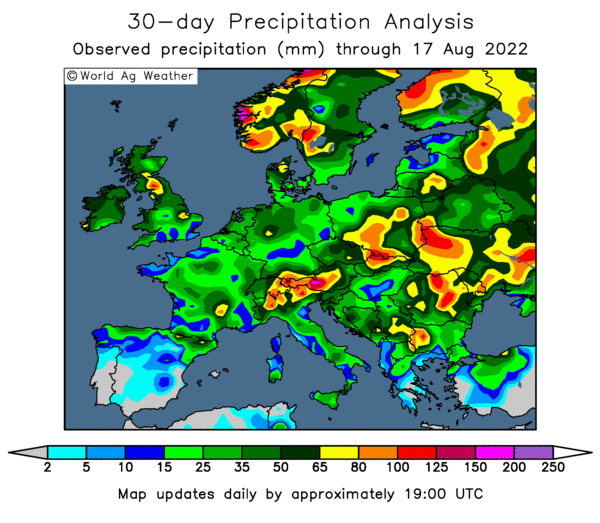 Seeing as last year the drought in the north was the "worst for 100 years" and they still supposedly brought in huge wheat and corn crops, nobody seems to be getting too excited just yet. Early calls for this afternoon's CBOT session: corn up 3-5 cents, beans up 5-7 cents, wheat up 2-3 cents. Hovis say that one wheat field in every eight in Britain is now growing wheat for them, in their new switch to producing bread using 100% British wheat across their entire product range. Hovis are spending GBP5 million of the GBP18 million it was wasting on Canadian wheat to promote the move via a TV advertising campaign. Not to be outdone, Warburton's are also set to launch a 100% British loaf in the not too distant future, and are spending GBP10 million in their new advertising campaign to tell us exactly how much they care. In a battle over exactly who's Dad is the biggest, Kingsmill say that they are going to spend GBP11 million promoting the launch of their latest bready brainwave, Oatilicious. 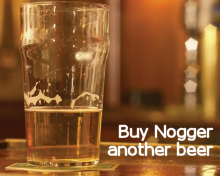 UK farmers will be hoping that some of these extravagant advertising budgets will ultimately throw a bit of cash their way too. We shall see. Associated British Foods says that interim results to 27 February 2010, which are scheduled to be announced on 20 April 2010, will show a strong increase in revenue with growth achieved in all segments. Operating profit will be substantially higher than in the corresponding period last year in all segments except Agriculture, where trading last year benefited from unusually high volatility in commodity prices, they say. In Agriculture, UK feed revenues will be ahead in all sectors except sugar beet feed which has been affected by lower prices. Growth in speciality feeds and nutrition has exceeded expectations, enzyme sales have been encouraging with further registrations of new products in the period and a new feed mill has been commissioned in China. Adjusted operating profit will be lower than last year’s exceptionally high level, largely as a result of reduced volatility in UK grain markets leading to less trading activity by Frontier, they add. Saturday was a lovely day here in North Yorkshire, I walked the dog in shirt sleeves on Saturday morning, with spring bulbs poking their little heads through it was almost balmy. Things got even better later in the day after a short stroll to the pub to see Everton dismiss ManYoo in contemptuous style, with three quarters of the pitch bathed on spring sunshine. What a change then Sunday morning to wake up to 2-3cm of snow that was still falling quite heavily when Nogger's Dog was chomping at the bit to get out of the door for his morning constitutional. Still, snow has to be better than rain, the poor old Argies have been getting plenty of that of late by all accounts, 90mm fell in 90 minutes in Buenos Aires on Friday. What a contrast to twelve months ago, when Argie farmers couldn't buy a drop of rain, now they're getting twice their seasonal average. This has caused some crop losses according to reports emerging over the weekend. Excessive rain also seems to be becoming a problem in the US, which may ultimately delay spring planting for the second year running in some areas. Meanwhile, bent as a nine bob note Indian officials are now saying that the country will produce a record crop of 82 MMT of wheat, and maybe more this year. Chuffed to bits with having nicked all of neighbouring Pakistan's water, a senior scientist with the farm ministry told reporters on Friday that "We are heading for a record harvest of 82 MMT and, God willing, it will be higher still." Things aren't quite so euphoric over the border in Pakistan where wheat production is expected to fall around 17% to 20 MMT this year, with output in non-irrigated areas slashed after months of virtually no significant rainfall. Even production in irrigated areas of Punjab, which accounts for around 75% of the national crop, has been affected after India sneakily diverted water away from Pakistani feeder canals to irrigate it's own crops instead. "We didn't do nuffink Guv, we was at Ricky and Bianca's wedding innit," said an Indian official.